Steven (Chicagoland, United States) on 23 April 2013 in Plant & Nature and Portfolio. A tulip spotted in the front yard's perennial garden from LAST year. Still awaiting their bloom this year. Photo captured on April 12, 2012. Stunner, a ray of sunshine at last - even if it is a year old. Spring seems late here, too . . or I might have missed it ! 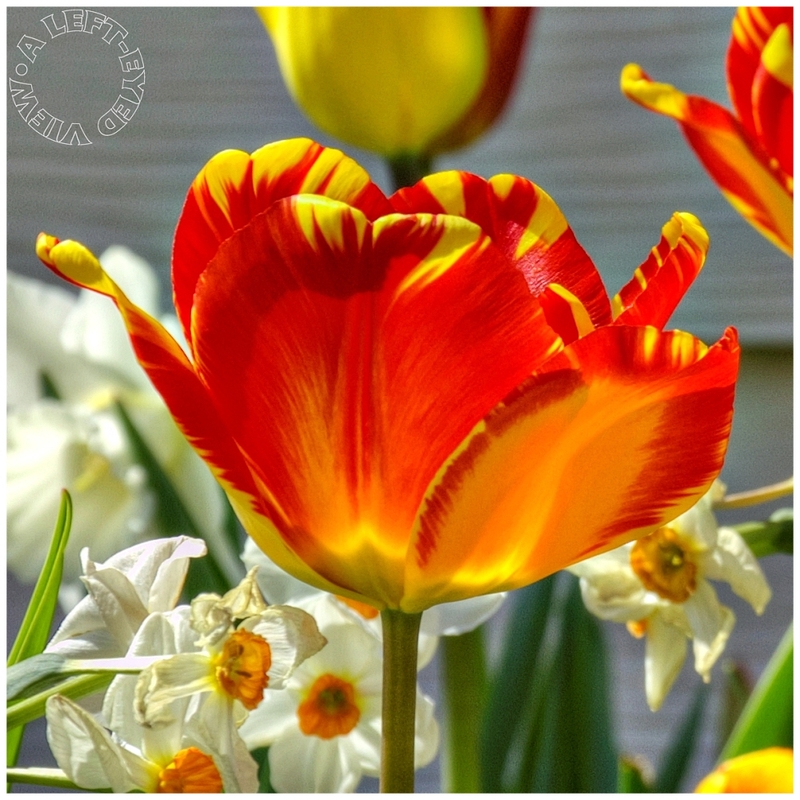 A gorgeous tulip photo, Steven - the colors are stunning! Yes, everything around here is extremely late coming out as well. Crazy, eh? Gorgeous light and colors of this closeup . Hope when the blooms arrive they will be as gorgeous as this one! Une très belle série de fleurs ! Chez nous aussi le printemps tarde à venir. magnificent, colourful display from natur's beauty cabinet ... won't take long now for the spring splendour to return !!! Gorgeous colors and the clarity is perfect! Gorgeous light and color. We had frost on own lawn yesterday morning. I am waiting too for spring. Absolutely beautiful! Gorgeous color! It has gotten cold again here. I had put away a lot of winter clothes and some have come out again! Beautiful! I hope they bloom soon. Stunning shot ... the colors and light are fascinating !!! That is a beautiful flower, yep it screams out with the essence of spring, lovely ! Wonderful image. It amazes me how life explode with colors after such cold winters.